Not everyone can be a world history master, especially when we tend to learn about it in specifically segmented classes like "European History" or "American Revolutionary History." Maybe you have an exceptional grasp on the global historical timeline. But for those of us who don't, the list below, inspired by a recent Reddit thread called "What are two events that took place in the same time in history but don't seem like they would have?" puts key historical moments into some much-needed context. Sliced bread was introduced in 1928 by inventor Otto Frederick Rohwedder. Before this moment, bread was sold in whole loaves as bakers didn't trust sliced bread could stay fresh. Betty White was born in 1922 and spent her early years not eating sliced bread. But White recently celebrated her 92nd birthday, which means she's been able to experience the first "greatest invention" much longer than most of us. Established in 1636, Harvard is the oldest institution of higher education in the U.S. 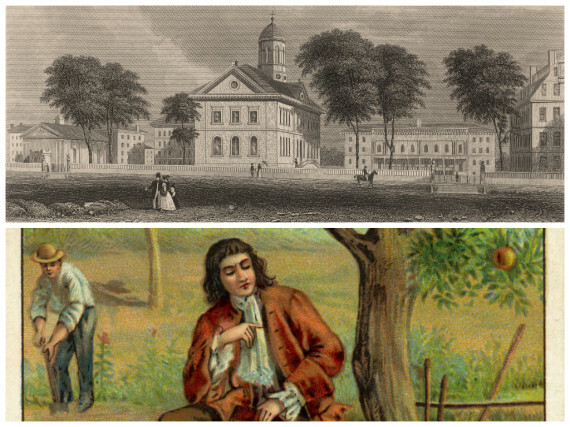 The "New College," as it was originally called, had no calculus classes because it didn't exist yet. The invention of calculus would come in the late 17th century with Gottfried Leibniz's 1684 publication of "Nova Methodus," and in part with Isaac Newton's "Principia" in 1687, followed by additional explanations and reformulations by subsequent mathematicians. Also, European physicist, mathematician and astronomer Galileo was still alive during Harvard's early years -- he died in 1642. The Chicago Cubs haven't won a World Series since 1908. This was back when there were still teams such as the Brooklyn Superbas and the Boston Doves. The Ottoman Empire, which was founded in the 13th century, also existed back then. 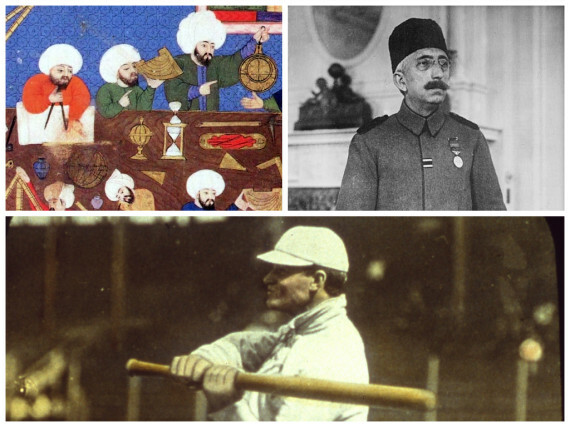 Mehmed VI was the last sultan of the empire and his reign ended in 1922 when the sultanate was abolished and the Turkish government took governing control over the new republic -- 14 years after the Cubs last won the World Series. 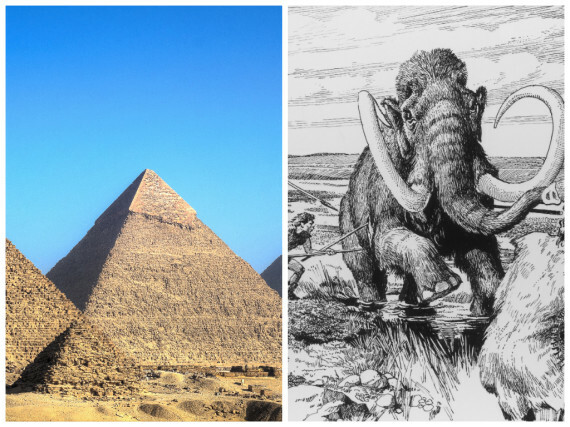 From what we can tell, the last of the wooly mammoth died out around 1700 B.C. on Russia’s Wrangel Island. In Egypt, the Pyramids of Giza were built around 4,000 years ago, although there have been claims that they're even older. This also means that Cleopatra's time on Earth is actually closer to us in history than to the construction of the pyramids. 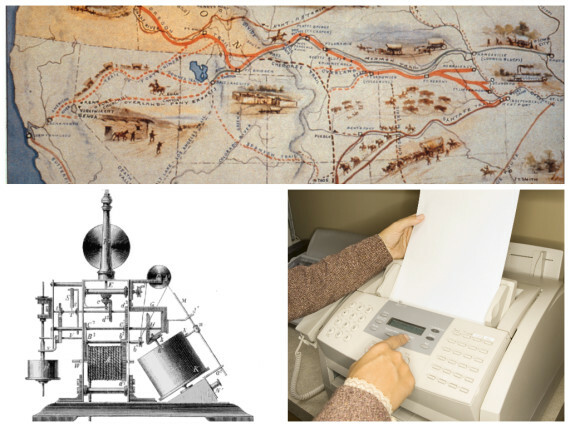 The first fax machine was invented in 1843 by a Scottish mechanic named Alexander Bain. This early model used a combination of synchronized pendulums, electric probes and electrochemically sensitive paper to scan documents, and then send the information over a series of wires to be reproduced. The "Great Migration" on the Oregon trail began the same year, when a wagon train of about 1,000 migrants attempted to travel west, but probably died of dysentery along the way. While Rome was officially a holdout for a number of years after, in 1861 General Giuseppe Garibaldi led a successful campaign to gather the various city-states and bring them under one nation. Charles Lewis Tiffany and John B. Young founded Tiffany & Young in 1837 and then became Tiffany & Co. in 1853. This means Audrey Hepburn could have gotten "breakfast at Tiffany's" before she could have had her Italian "Roman Holiday. Similarly, Macy's was founded in 1858, also before Italy became the nation we know it as today. 7. 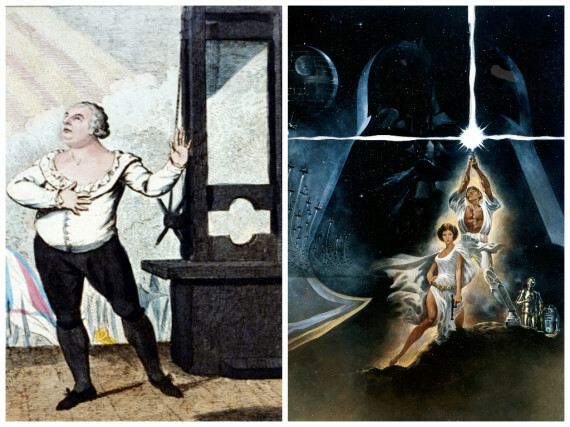 France was still using the guillotine when "Star Wars" came out. The last time the guillotine was used as a form of execution in France was in 1977. The guillotine lasted for about two centuries. The first "Star Wars" film was also released in 1977 a few months before the execution. Another mind-blow French historical fact: The Eiffel Tower was completed in 1889, which is the same year Nintendo was founded and that Van Gogh painted "The Starry Night." 8. Two of President John Tyler's grandsons are still alive. John Tyler was America's 10th President, serving from 1841 to 1845, but somehow two of his grandsons are still alive. 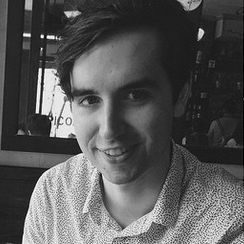 Mental Floss first reported on this fact in 2012, but since then Snopes has verified their identities, while New York Magazine even interviewed one of the grandsons. As of last year, both Lyon Gardiner Tyler Jr. and Harrison Tyler were still only in their 80s. This post has been updated with additional information about Rome's role in Italian unification. 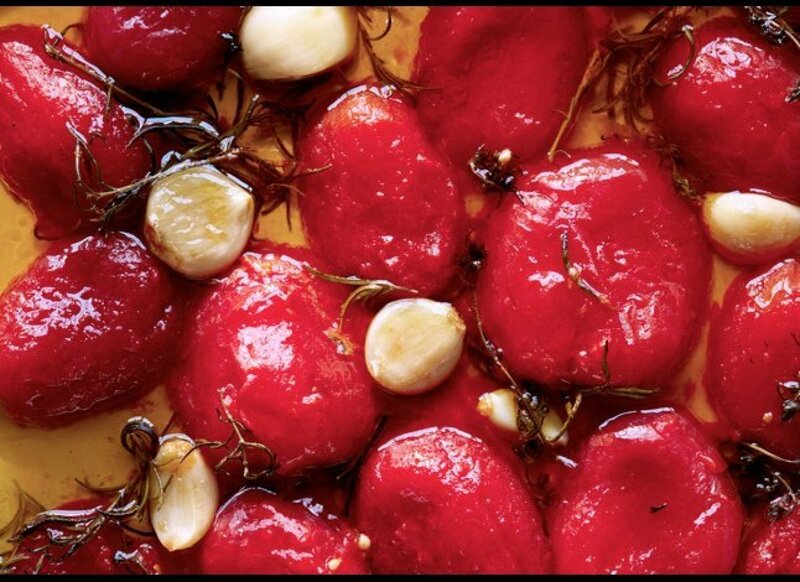 Everyone knows that garlic wards off vampires. It can also ward off the curse of the evil eye.